Extreme Fireworks plans to use existing space in the Manders Crossing strip mall and is not seeking a rezone request. The property already is zoned for business use, but a retail fireworks operation requires a special use approval that has to be voted on by the Oconee County Board of Commissioners. Review by the Planning Commission is the first step in the approval process. The request is scheduled to be before the Board of Commissioners on June 7. Extreme Fireworks plans to use 3,000 square feet of available space in the Manders Crossing center, which has struggled across the years since it was built in 2005 and 2006 to keep tenants. The space has two exits and a sprinkler system, according to the rezone narrative. The store proposes to operate from 10 a.m. to 4 p.m. Wednesdays through Sundays throughout the year. The narrative says that the retail outlet will have at least 500 pounds of fireworks on display in the store. The Georgia General Assembly in 2015 passed legislation allowing the retail sales of fireworks in the state. Extreme Fireworks states in its application that it has stores open in Johns Creek and Marietta and is in negotiation to open stores in Cartersville and Kennesaw. Manders Crossing is not being asked to make any changes in the exterior of the shopping center. The mall is owned by GF Mars Hill LLC of Alpharetta. 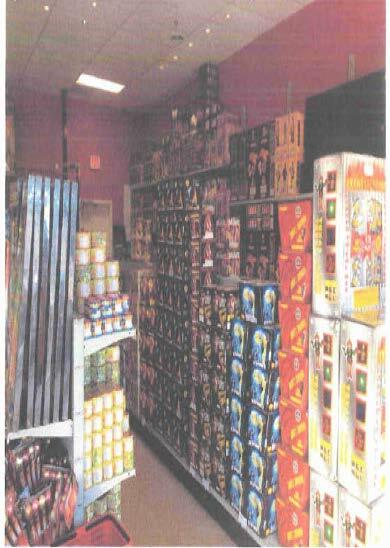 Extreme Fireworks states in is application that it does not anticipate outdoor sales at the store. Elaine Duckett Crane and Lila Mae Slatton are seeking to rezone nearly 30 acres with frontage on the south side of SR 316 between Jimmy Daniell Road and Virgil Langford Road to create a commercial center being called Virgil Langford Auto Dealerships. The complex would have access on both Virgil Langford Road and on Jimmy Daniell Road. Vintage Oak Farm at 6305 Hog Mountain Road is seeking to bring an existing operation of a reception hall on agricultural land into compliance by rezoning the land for commercial use. The planning staff has recommended approval of all three of the rezone requests before the Planning Commission on Monday night. 316 should be a limited access roadway. No car dealerships! We fought to stay out of the metropolitian area years ago with all their regulations etc. Now Gwinnett and Atlanta move one step closer. Looking more and more like what I tried to leave behind.